Photo of: West of Ireland: Mayo: Clew Bay. 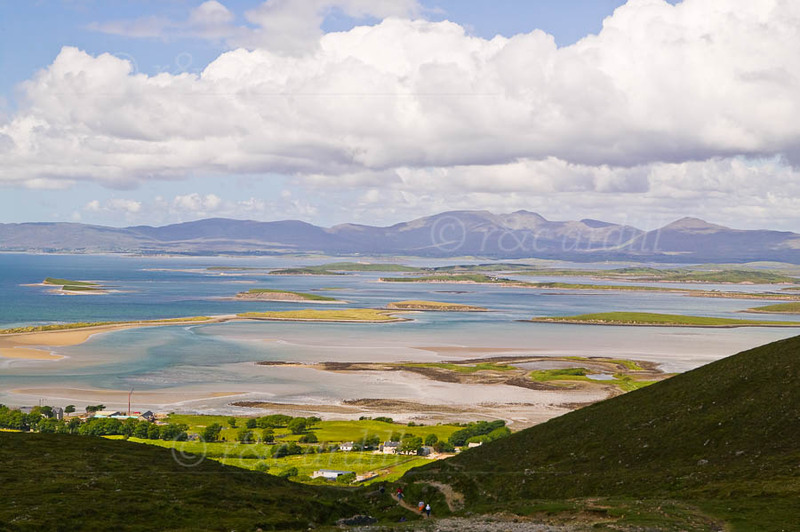 This photograph was taken half-way up Croagh Patrick, looking out towards Clew Bay and the islands. The highest peak in the distance is Claggan Mountain with Ben Gorm to the right of the image. Croagh Patrick is a holy site near the lovely town of Westport. Clew Bay opens out to the Atlantic.